Repulsive beasts, right? Perhaps, but spiders have incredible abilities. They are marvels of design and very beneficial to mankind. Let’s take a fun and fascinating look at these creatures in a new light. Will you hesitate to squish the ones you see in your house after this? No, probably not! But outside? That’s another matter! How do you prepare your student for an ever changing, competitive, expensive and global job-market, where, on average, they'll have upwards of 12 jobs during their life-time? This workshop will focus on helping your student create a successful life plan and remain versatile in an ever-changing, global job market. Most of our children watch hundreds of hours of electronic media every year … often with little benefit. This workshop provides practical guidance on how to use popular Hollywood movies to teach life-changing relational skills to your children. Music has become such an ever-present influence in our daily lives, we seldom stop to consider what effect it has on us. Man has changed over the last 100 years from being music makers to music consumers. We gradually lost control over, and even awareness of, our auditory environment. In what way is music beneficial to our bodies and minds? Can it actually be harmful? Scientific research provides some astounding answers to such questions—indeed, facts that must not be ignored. This message is from the youth track (it is also given in the general sessions). Relational wisdom is your ability to discern emotions and interests in yourself and in others. Use God’s Word, and these insights to manage your responses and relationships successfully. Jeff Sande will describe the biblical basis for relational wisdom and show how these skills can lead to productive lives, better job performance, and a more credible witness for Christ. This is part 2 and uses musical samples to help listeners learn to hear more actively, both to gain the most out of their listening experience as well as to encourage defensive listening with greater discernment. Musical selections of baroque, classical, folk, and popular genres are played and discussed. Without saying, “This is good, this is bad,” Mr. Pudewa presents a unique perspective on the question of whether all music is equally beneficial to the Christian. You’re having a difficult discussion with your parents— about video games, social media, chores, curfew, motivation, trying harder in school, or college— and the conversation quickly escalates. Each side talks AT instead of TO each other with the sole goal of winning the argument. Both sides dig in. How can you have difficult discussions while still honoring and respecting your parents? Listen and learn. This session is directed to youth - it is also listed in the general convention. Teens often watch hundreds of hours of electronic media every year … often with little benefit. This workshop will provide practical guidance on how to use popular Hollywood movies to gain life-changing relational skills. Sessions Included In This Set: 2018-12Homeschool 2.0: A Fresh Look at Education by: Woody Robertson2018-13Study Like a Genius: Unlocking Your Brain by: Woody Robertson2018-14How to Homeschool High School by: Woody Robertson2018-15Five Mistakes Parents and Students Make Planning for College by: Woody Robertson2018-16Now Calling All Entrepreneurs: 10 Musts for Starting and Growing Successful Businesses by: Woody Robertson2018-17Eight Practical Steps to Life After High School: Training Starts Now by: Woody Robertson This set is subject to change without notice based on recording availability. Recordings that are lost due to technical difficulties or that are no longer available due to contractual agreements with the speakers, will not be included. No refund for missing sessions is guaranteed or implied. All learning is founded on one key—the ability to take in information and then remember it. Each school year, students spend countless hours studying, only to have the information seemingly disappear when they need it most. Whether a parent or student, in this interactive and practical session, you will learn how to use study tools such as speed reading and memory techniques. This information-packed session prepares students to launch into the next phase of life with vigor, excellence and confidence. Topics include: how to dress for success, creative conversation techniques, essential character qualities, time management, résumé and business building and more! Today’s activities and choices will either help or hinder future successes. Look out world—the next generation of leaders are on their way. Why are films so powerful? How does a film impact the culture? In this talk, we learn just how powerful films can be and how to use them for God’s glory. If you want to be a filmmaker, where do you start? Should you spend a lot of money? Should you start with what you already have? In this talk, we learn what the best route is to take when getting into film. Can you tell a story without saying any words? Can you get a message across with just showing something on the screen? In this talk, we learn all about visual storytelling and how to use it in your films. Why are the Kendrick Brothers’ movies so powerful? What are the elements that you need to make a movie that impacts culture? In this talk, we learn about the necessary tools you need in the making of your Christian film. 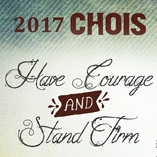 This contains all recordings from the 2017 CHOIS Teen Program. Sessions Included In This Set: 2017-T11Unleashing the Power of World History by: Linda Hobar2017-T12A Crash Course from Creation to Christ by: Linda Hobar2017-T13Conquering the Middle Ages by: Linda Hobar2017-T14Mastering the Renaissance and Reformation by: Linda Hobar2017-T15Modern History that Shook the World by: Linda Hobar2017-T21Four Things to Know About Dinosaurs by: Mike Riddle2017-T22Critical Thinking Skills by: Mike Riddle2017-T23The Bible and Time by: Mike Riddle2017-T24Two Power Questions by: Mike Riddle2017-T25Our history and our freedom by: Mike Riddle This set is subject to change without notice based on recording availability. Recordings that are lost due to technical difficulties or that are no longer available due to contractual agreements with the speakers, will not be included. No refund for missing sessions is guaranteed or implied. Want to better understand the headlines? Need to study modern history at home? Then you should attend “Modern History That Shook the World!” Join Linda Lacour Hobar, author of the award-winning series, The Mystery of History, as she recounts world-shaking events from the 20th century to present time from a biblical worldview. With vivid snapshots of the Cold War, the Formation of Israel, the War in Korea, the Cuban Missile Crisis, the Fall of the Berlin Wall, and much more, students and teachers will not only be challenged to understand the past, but be better equipped to interpret today’s news and make stronger leaders for tomorrow. Don’t miss this fast-paced, fact-filled, fifty-five minutes of modern history! Dinosaurs have fascinated man ever since the first fossil was discovered. In this workshop, Mike Riddle will answer four important questions. Where did these mighty beasts come from? When did they live, and what happened to them? Are they mentioned in the Bible? Proponents of evolution often apply intimidating techniques in discussion and debate. Join Mike Riddle as he demonstrates how to employ critical thinking skills for disarming the arguments of evolutionists. You will be equipped with three critical thinking questions, The Power Question, and will also learn how to identify red-flag words. If you’ve ever wondered about the age of the earth and how it relates to the Bible, then this workshop, presented by Mike Riddle, is just for you. Using hermeneutics and the rules of interpretation, Mike will explain the meaning of “day” as it is used in various Scripture passages. Where did matter come from to create the universe? How did life originate? Join Mike Riddle as he addresses these two power questions and applies critical thinking in finding the answers. In this workshop you’ll be equipped to make logical deductions for reasonable beliefs. Join Mike Riddle as he walks through the history of our freedom. Mike is a Retired US Marine. He brings enthusiasm and respect for God's plan for our country down through the decades. This presentation is rich in video clips and animation - audio is the only thing that is recorded. Young Adult Session (Be advised: This session is a discussion session and all audio is not captured on the recording) Using an easily-accessible classification system and identifying common cultural themes, this powerful introduction into the world of ideas lays the groundwork for developing a worldview big enough for the world. (Be advised: This session is a discussion session and all audio is not captured on the recording) It’s one thing to talk about “worldviews,” but let’s be real: most people interpret the world through their relationships. The Romantic Worldview explores how relationships shape our view of reality and our highest aspirations. Young Adult Session (Be advised: This session is a discussion session and all audio is not captured on the recording) A brainstorming opportunity for students to apply their worldview thinking as soon as they get home. Also gives students some metrics for plotting their own studies. (Be advised: This session is a discussion session and all audio is not captured on the recording) Making a difference starts with making space. This brainstorming session is designed to help students sketch ideas for everyday discipleship. Are you or your teens looking for some extra cash? Want to get some great experience with work and finances? Then entrepreneurship may be for you! Come learn the ins and outs of home business formation, growth, and management from the ground up. Whether you’re looking to build your product, service, ministry, or web-based enterprise, you will find great ideas, resources, and scriptural principles to help you on your way. Who am I? Do I have a purpose? Will I ever be good enough? These are the questions we ask ourselves as we compare our weakness with someone else’s strength. In a social media age it is very easy to become discontent and stuck in the trap of comparison. It is also easy to become discouraged when we look to others for approval or with envy instead at looking to God and the purpose He has for us. We were each created for a purpose and given the exact circumstances that our uniquely ours. Learn to embrace who you are and where God has you! Tyler Hogan graduated homeschool and went to college when he was 16. During his college and young adult years, he made some really stupid mistakes (and stumbled onto a few things that worked out really well). You will hear frank and timely words about busting stereotypes, owning your faith, navigating relationships, and how not to wreck your life after homeschool. As a thirteen-year-old homeschooler, Hope started writing her first historical fiction book. It was published in Spring of 2012 as the first of a four part series, and she now has a second book and a radio drama released to the world! She knows that the process from concept to publishing can be overwhelming, especially for a young, first-time author writing for God’s glory. She is here to inspire and encourage other homeschoolers who are starting their own writing journeys. She has made the talk enjoyable and beneficial to aspiring writers, parents of aspiring writers, parents of struggling writers, or anyone who likes writing in general. One thing is for sure, if you have homeschooled for more than a week, people everywhere will question you about it—from grandparents and neighbors to pastors and friends to grocery store clerks and legislators. You need to be able to articulate the apologetics of homeschooling and answer questions that come from those who know you, from curious by-standers, and from those who are hostile toward homeschooling. Do you know why your parents have chosen to homeschool you? Do you know the advantages of being given a custom-designed, tailor-made education? Do you know the spiritual, emotional, and social benefits of being homeschooled? We will have fun learning how to answer these questions, as well as others that people love to ask you when they can get you away from your parents: Do you really like homeschooling? What do you think you’re missing in life? What have you been studying lately? When it comes right down to it, you will probably be called upon more frequently than your parents to make the case for homeschooling. Come and learn how to do it well. How do we acquire and nurture in our children a God-honoring worldview that strengthens joy, comfort, and faith in God and Scripture, even while exposing the unreasonable blind faith of unbelief? It’s much easier than you think if you start in the right place. God is the infinitely excellent creator and sustainer of all things, apart from whom we have nothing, including life, knowledge, truth, authority, and moral absolutes, on whom we depend for everything, to whom we owe all things. God, then, constitutes the proper starting place for a proper worldview. You will be surprised how many mysterious and confusing threads fall into place in the marvelous tapestry of God’s work and purpose when we begin with the source and explanation of all things. Indeed, apart from God as their source and sustainer, life and all things reduce to an impossible and pointless absurdity. Paul Revere, aptly portrayed by Philip Jacobson, will speak to the audience not only of his famous midnight ride but his life as a silversmith, husband, father and patriot for the freedom he and so many other men and women lived and died for. While remembered most for that ride into Lexington, Paul was instrumental in much more of America’s history. Paul will share candidly, engaging the audience with the true story of how he and a group of shopkeepers and artisans who called themselves The Loyal Nine came to be known as the Sons of Liberty. Whether it’s in front of your family, a speech competition, a business meeting, or your local church, public speaking can either be an embarrassing disaster or an extremely effective tool for God to use you to bless others. Rick will share 7 secrets that will equip you to approach your speaking opportunities with confidence, poise, and skill. Ever had someone get mad at you and you had no idea why? After asking what you said, they replied, “It’s not what you said, it’s HOW you said it?” Maybe we should learn how to better say things! Ever had trouble getting someone to understand your perspective or your instructions? Did you know there are four very different “languages” used by most people? Being aware of these different communication styles and learning to speak all four will greatly enhance your relationships, your leadership, and your effectiveness. Repulsive creatures, right? Perhaps, but spiders are actually quite incredible! There are three basic types of spider, and each one displays amazing capabilities that astound anyone who bothers to take a look. They are marvels of design and very beneficial to mankind. This session takes a fun and fascinating look at these creatures in a new light. Will you hesitate to squish the ones you see in your house after seeing this session?......no, probably not! But outside? That's another matter! Come see how fireflies do it. What is color blindness? The eye is one of God's most incredible creations and it only can see three colors! Watch an electrocuted pickle glow in the dark, see a home demonstration to illustrate the Trinity, a light with no color and a diamond like you've never seen before. Why do flowers come in so many colors? It's not for the bees! Jesus lived thousands of years ago, but He is still changing the world today. Before he ascended, he sat down with his disciples and left them with a few words of correction, hope, and direction. These same words can help give your life with clarity and purpose. Author and host of the television show, Starting a Micro Business, Carol Topp will encourage teenagers that they can start and run their own micro businesses. Carol will share video clips of homeschool teenagers who started their own businesses and went onto learn confidence, time management, and business skills while earning money. She’ll guide a discussion to help teenagers come up with a micro business idea of their own. Using visual illustrations, we show how life only shows design, order, and beauty – not random accident and chance. We cover three aspects of the natural world the evolution cannot explain – including design, instinct, and general relative sizes of creatures. The story continues as we delve more into the commission that Jesus gave in the Upper Room. The riveting account of this story is sure to stir within you a passion for life. Too many students graduate from high school with no idea what career they should pursue. Homeschool mother and author, Carol Topp, will offer steps, resources and her experiences in helping students pursue a career path unique for them. Attendees will receive a free copy of Carol’s ebook: Career Exploration for Homeschool High School Students. Why is it that almost half of college graduates can’t find a job? What’s missing? What does a student really need to learn between the ages of sixteen and twenty two to be ready for “real life”? Everyone focuses on academics, but you need more than academic ability to be fully equipped for the challenges and responsibilities of adulthood. In this session Jonathan will guide you through the seven essential skills and abilities that are crucial for successfully launching into adulthood. This time of life is a unique time, offering amazing possibilities. Come learn how to maximize this time, focus on the essentials, and be prepared and equipped for extraordinary success! Learn about the different options for your business. We will discuss the features of being a sole proprietor, a Partnership, an S-Corporation, a C-Corporation, or an LLC. Our culture believes that the key to every kind of success in life is a college degree. A degree is a powerful tool for success, but some of the most important strategies needed to be successful and live out God’s purpose in your life aren’t taught in college. In this presentation you will learn what those three strategies for success are, and how following them can help students be better prepared for life, success, and college. Change is happening rapidly in higher education. Universities are doing their best to keep up with the demands of the student marketplace. Come learn how to be on the cutting edge and not left behind. Learn strategies and tools to ensure you receive a quality education, have a great college experience and walk away with a degree but without a mountain of debt. What is the easiest way to keep track of your home business income and expenses? Can I take mileage deductions? What is contract labor? Can I deduct expenses for having an office in my home? Come learn the answers to these questions. It makes no sense to pour our lives into homeschooling only to stumble at the finish line. We’ve got to pass the baton of Christian adulthood to our children, and it can’t happen overnight. Hal and Melanie talk about this critical time in our children’s lives, and how to transition from the benevolent dictator our eleven year-olds need to the trusted advisor of our adult children. Let’s all finish well and prepare our sons and daughters to be responsible adults and servants of the Most High, even when we can’t make them anymore! Train your students to discern world views and to understand their impact on every aspect of our culture. We will analyze the impact of world views on our culture through interviews with those who hold opposing world views. Great opportunity to learn practical tools to learn how to reach non-Christians and to confront the culture with the Truth. Non-Christians seem to have the advantage in our culture. We, as Christians, are sometimes intimidated by or even afraid to talk with many atheists, new-agers, evolutionists and other Wizards. Too often, we fear we won’t have answers to their tough questions.